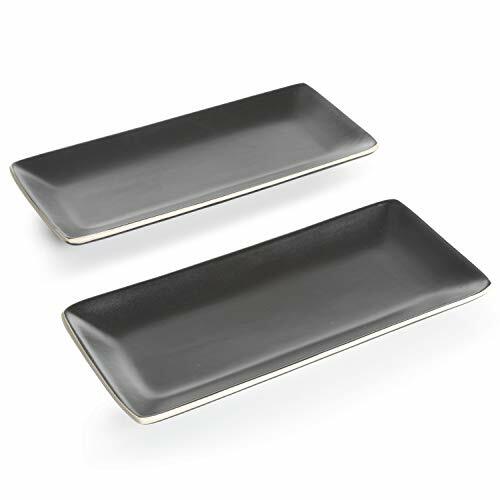 This set 2 Gibson Elite serving platters compliment stylish home décor and table settings with their black matte finish. Perfect size for serving tables at parties. The black matte finish works well with any Soho Lounge style dinnerware.